Dear Parents, Teachers, Alumni and Supporters:The Benzie Central Track Team is at a situation of critical mass. 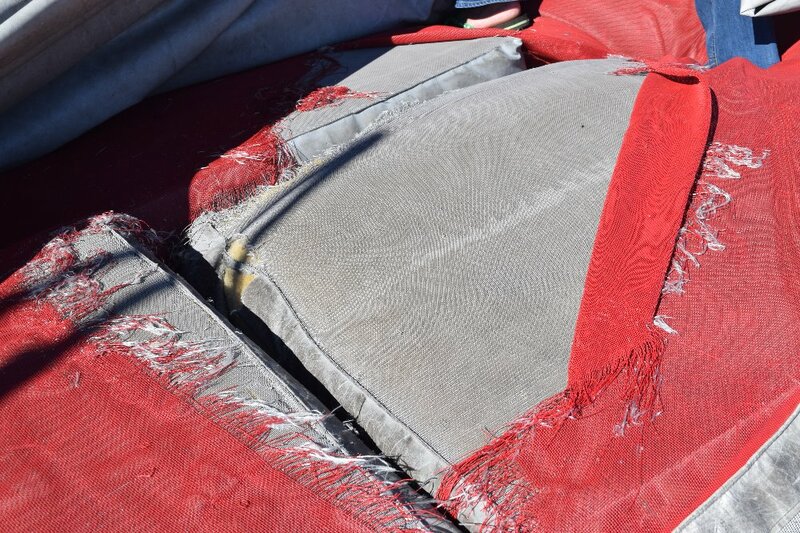 The track and the field event areas, such as the pole vault pit, high jump and long jump are in dire need of replacement. 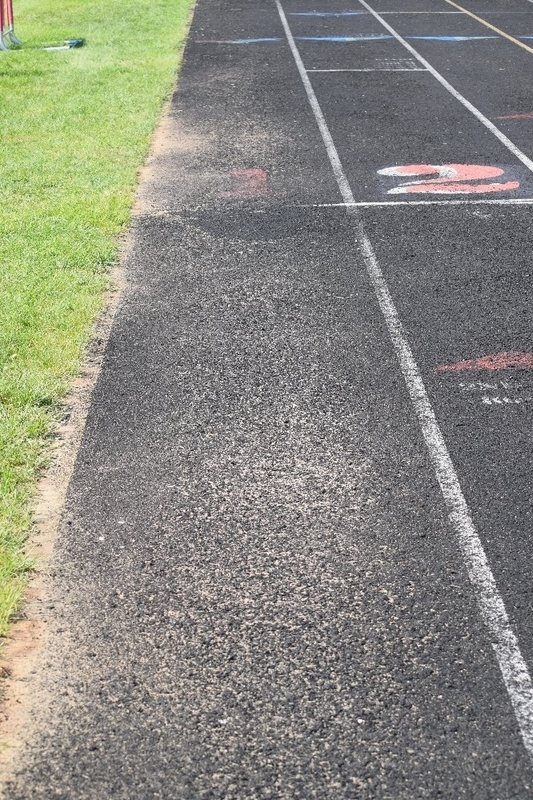 It is a fact that many of the competing schools in the area have stated they will not participate in any of the school sponsored meets because of the current conditions. We are currently in the process of writing grant proposals to request the funding, but that is not a guarantee. Given the condition of the track, we will not be able to host any home events until the track and other related areas are fixed. We need your support. 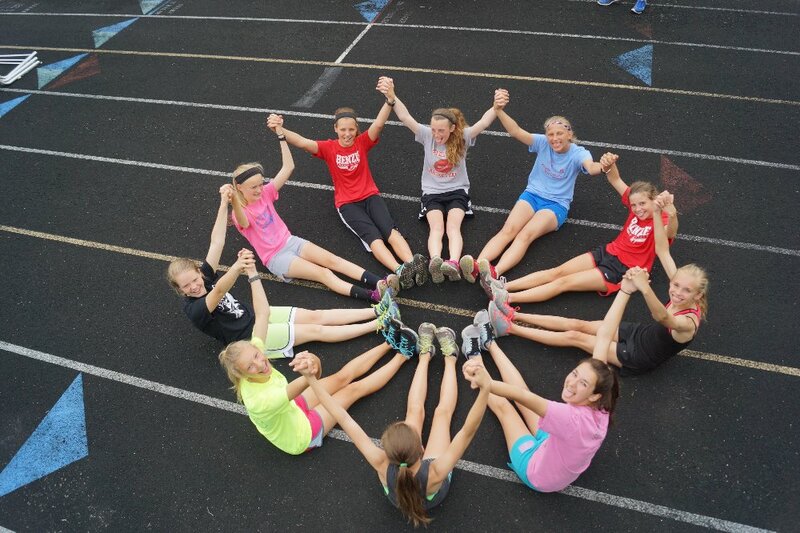 Currently, the Benzie Central Track is currently home to 110 high school middle school athletes. The track is also open to the community for a safe place to walk. The last time the track was resurfaced was in 1996, nearly 20 years ago. Check out the Back The Track Facebook page to keep up on the story! 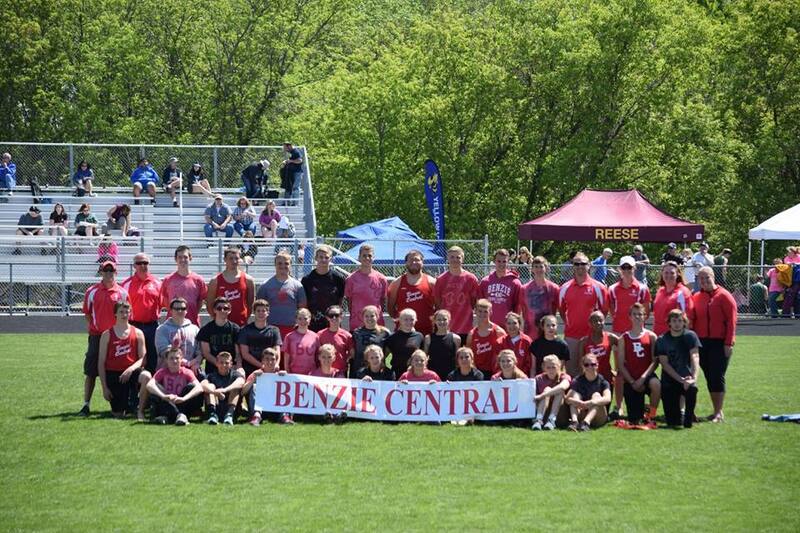 While I am not a former runner or an alumni of Benzie Central, I know first-hand the proud and outstanding tradition this school has with its track and field program. I grew up in Suttons Bay and ran against many former Benzie Central track athletes. This program was and is known for its running and I could feel it even then. Now, as a teacher, coach, and community member that gets to be a part of and help shape the future of this sport, I get to live the tradition that I once knew about growing up. I remember coming to Benzie Central for cross country meets and wondering why a program as distinguished as this one was, only had an asphalt track. 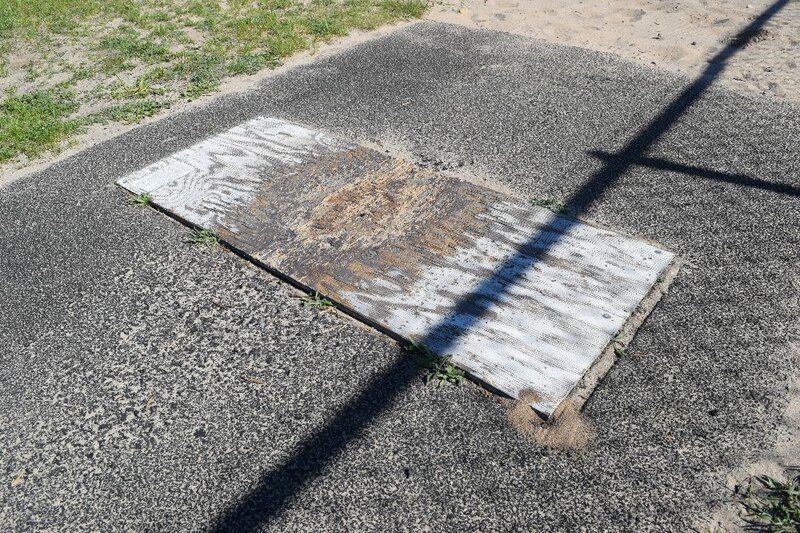 When it was resurfaced in the late 1990’s, it was something known about throughout the area. 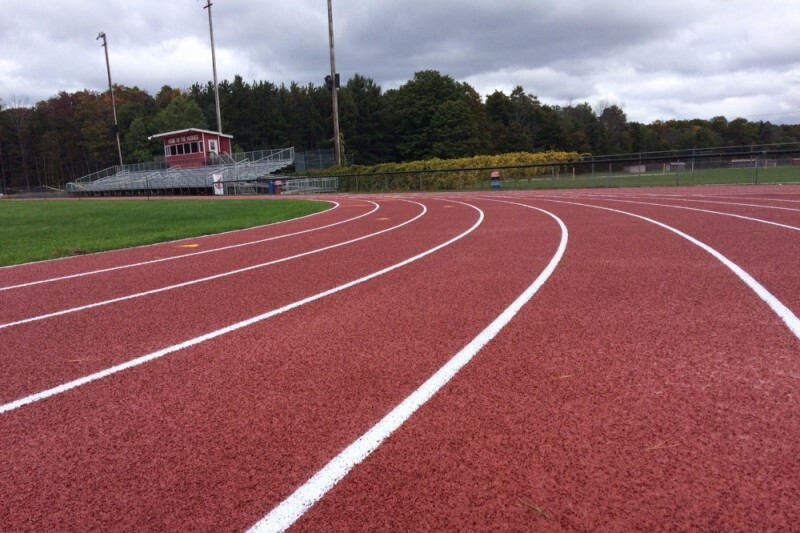 Now, this school with such a proud track and field background had a track that they could call their own. I am stuck wondering again; wondering why a program as distinguished as this one is again without a track that will meet its needs. Track in all its aspects has been what has made me who I am. I ran both track and cross country for Suttons Bay, was fortunate to receive a full scholarship at Indiana University to continue doing what I love and now have the opportunity to coach those sports that have helped me become who I am. Track gave me an identity. I was not outgoing, nor was I a standout in anything besides running. Track and field made me see that I have a place, I am good at this, and I can use it to achieve my life’s goals. Yes, I wanted to excel and be the absolute best that I could be at it and I was able to achieve those goals but it also helped me become the teacher, coach, parent, and wife that I am today. It has taught me how to deal with success as well as failure. Track has instilled in me the need to always give everything I have into what I am doing whether it be teaching a lesson, mothering my children, being a supportive wife, or mentoring the next generation of track and field athletes to come out of Benzie Central. Now, as I look back on yet another successful season of Benzie Central track and field, I am left wondering again. What does the future hold? Will we be able to host the meets we want to host or even practice in a facility that is safe? 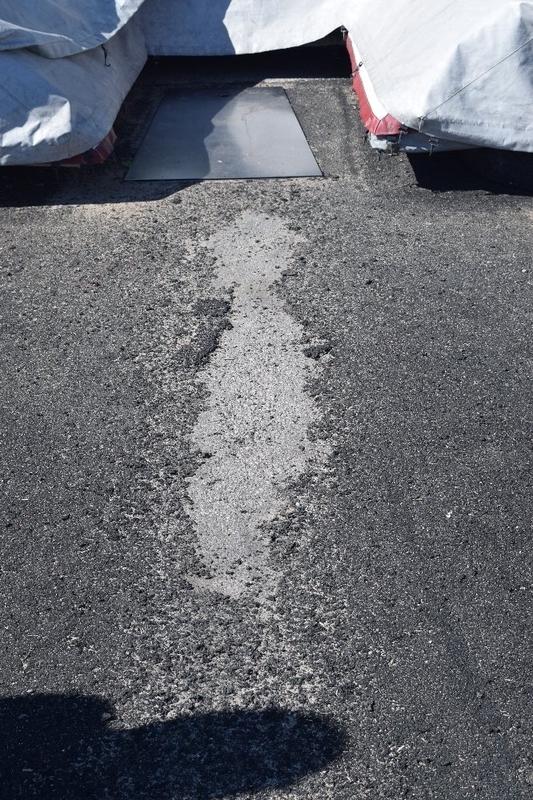 I go to practice each day wondering if the pits will last one more day or should we move them again because the take-off area is only asphalt with a small spattering of track surface left on it. I sit at home at night seeding the meet for the next day and wondering if we should run one extra heat because we don’t want to use lane one or two anymore than necessary. 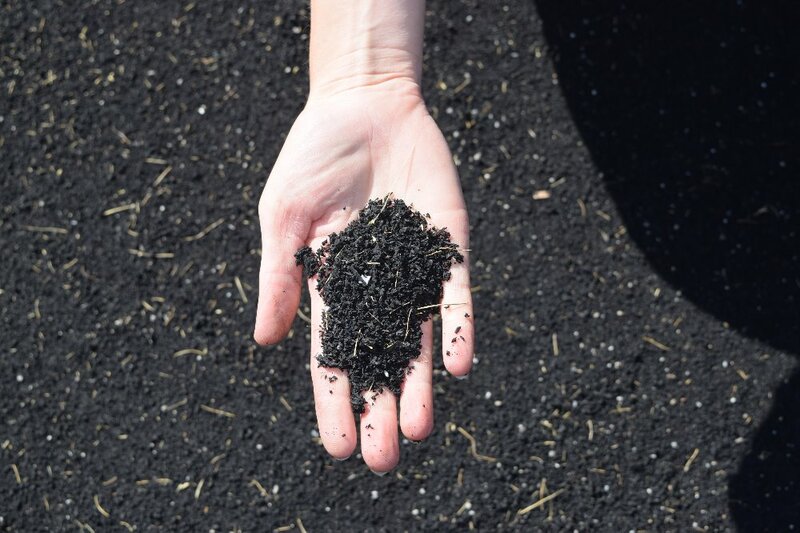 I wonder how many bags of spikes I will go through in a season because running on our current track wears them down to nothing in a few days. This idea of a new facility is no longer a want or a wish. It is an absolute necessity. 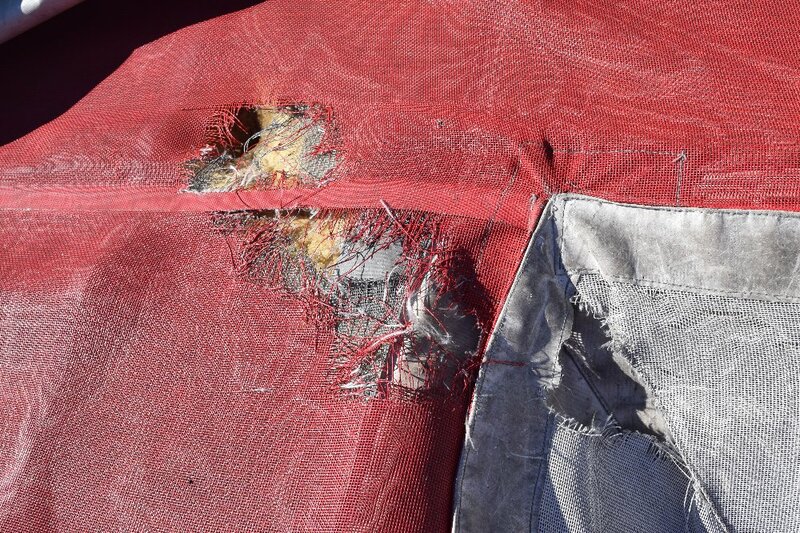 We are faced with the possibility of no longer being able to host meets because of the state of our track, the field event areas, and the equipment. Is this what we want to come of this sport that has helped countless numbers of athletes gain an identity, become successful people, and given them a reality to their dreams? Do we want this to be what we have to share with our community that has given so much support to this program and its athletes? A new track and equipment are a must. We can no longer patch what is there and move pits around. 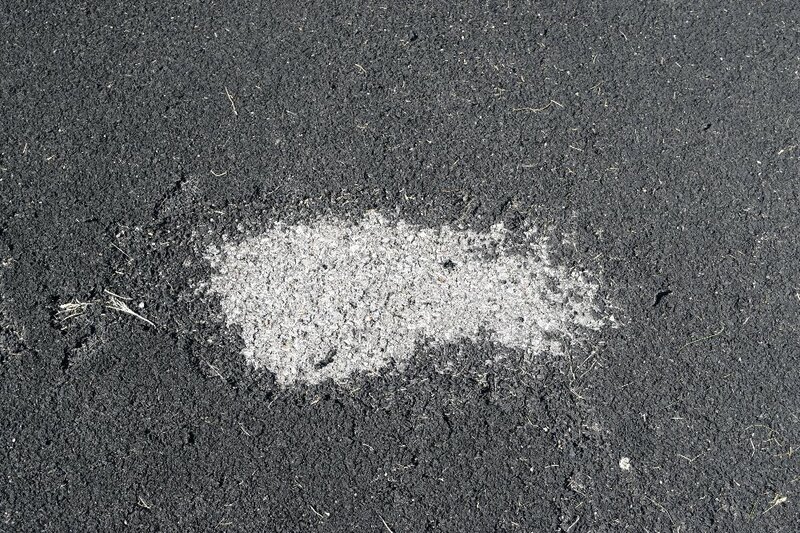 We cannot sit by and tell our athletes and our community that we can’t host a meet because of the state of our track. 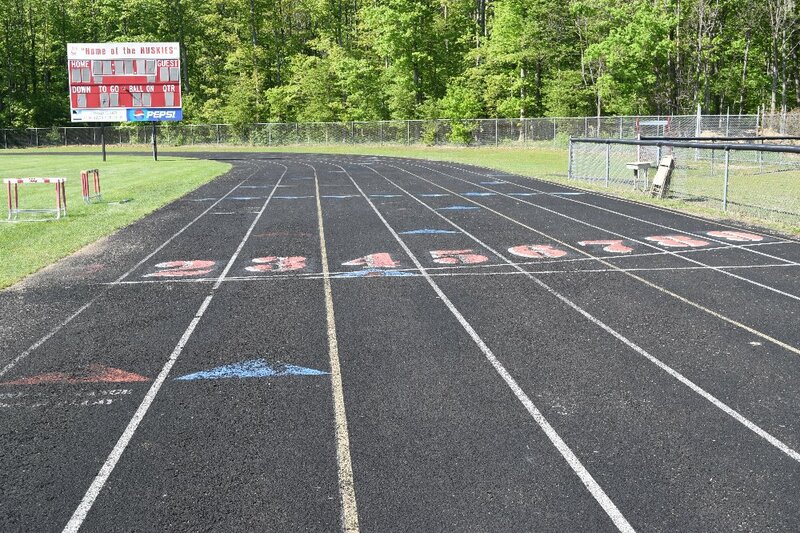 We need to give them a facility and equipment that they are proud of; a facility that represents what I grew up hearing about and what I live each day…..The Tradition of Benzie Central Track and Field. Thank you to the Benzie Sunrise Rotary for your donation and all of the hard work it took to raise $20,000.00 for Back The Track. Thank you for your amazing support of your community and the students of Benzie Central Schools. Thank you Gilbert and Virginia Markus for your $500.00 Back the Track donation! Thanks for helping us get the momentum going as spring will be here before we know it! Back the Track is very grateful that the Benzie Central School Board believes in the capabilities of this group to raise the necessary money for the track. This belief made laying the surface before winter a reality. Now we need to work diligently, to raise the money needed, to pay back the school. If you have an idea for a new fundraiser, please share with us! Do you have some time and energy to donate to fundraising for the project? Please let us know! We need to reach our next goal by June! Please contact us through the gofundme site! Thank you Rachel and Jason Tarsney for their very kind donation of $5000.00 to the Back The Track Fund! Another BC Alumni giving back to their community! LOVE IT! Thank you very much for your donation! Thank you so much for your $500.00 donation. Thanks for helping us get one step closer! Thank you for your very kind donation to Back The Track! Another Alumni giving back to their community! Thank you very much! A fun-filled evening was had by all as they chased clues all over Benzie County to raise money for the track! Thanks to all that participated! Another successful Wine and Cheese event! Thank you to so many local businesses who donated items for the silent auction. Your support is amazing! Thank you to all the workers and to Pleva's Meat for allowing us to work the stand to raise money for the track!